Get the best out of your training with the Nike Dry Crew Neck Fleece Training Sweater which ensures cool and comfortable performance. 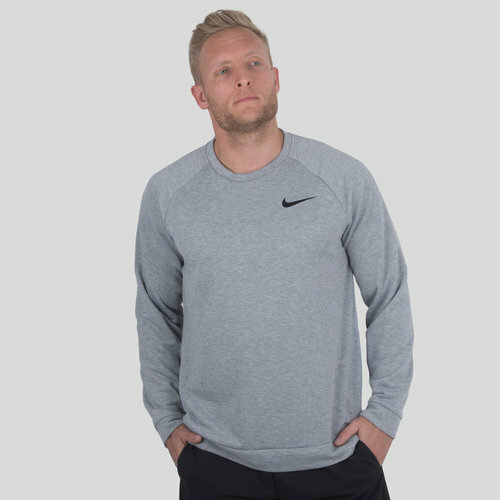 This grey sweater from Nike is great for the training ground, but also ideal for wearing casually away from the action on colder days. Made from a soft polyester fabric which utilises Nike's Dri-Fit technology to help wick sweat away from the skin, keeping the wearer dry and comfortable when you deciding to hit the training field. Stylish enough to be a great addition to any casual wardrobe, the Nike Dry Crew Neck Fleece Training Sweater finds the right balance between performance and comfort.